2 decades back, there was no concept of advanced technology, such as a personal mobile phone, with access to the whole universe. In today’s day and age, advanced technology has become mainstream and a necessity for Modern life. When we talk about necessities, there are a couple of basics, for example, food, shelter, and security. In one way or another, these necessities of a modern life are fulfilled by the use of technology. Employer or employee, both of them will be needing technology to reach to a level of success. Talking about a stay at home mom or a child being homeschooled, technology will help them be aware of the knowledge and skills they need, without stepping out of the house. Not only that, technology has taken security assurance to a whole new level. Modern life includes a packed schedule, be it for work or studies. While people are off to work, away from home, security technology keeps them aware of the security circumstances, be it office or home and keeps them assured. An example of a working mother can be appropriately used here. She has to leave her kids with an attendant and go out to work, however, being a mother; she will be concerned for her children, even if the attendants trustworthy. For such purposes, technology has introduced a vast range of security cameras over the years, for the comfort of its users. These security cameras are getting better and advanced with time, leaving its users with many options and features. Here, we are listing Top 5 best nanny cameras with the audio review, so you don’t go paranoid while you are away from home or office and be well assured. This gadget is not just a camera, but also a sleek and decent looking clock available in white and black, that makes having it around more exciting as it can be easily used for the purpose of recording your babysitter’s or child’s activity while they play around and you’re off for work. The MS Cube MiniWi-Fi Spy has an enhanced night vision for up to 12ft, as it automatically turns on in dim light or darkness, recording videos and shots in 1080P. It is the best option for a child’s room, for the parents to keep a check on them during the night. The camera indicates no light in the darkness, which helps in keeping it unnoticed. 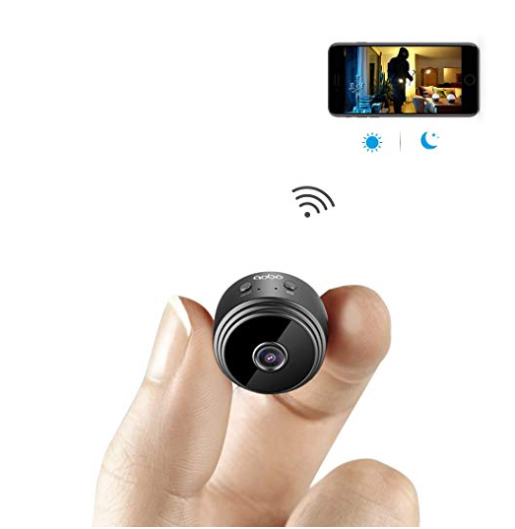 The camera is connected to Wi-Fi and an associated app, through which the user can control the camera from a smartphone and tablet. Its advanced features enable the user to see, hear and record from their device. THE MS.CUBE comes with a set of colorful stickers, allowing the users to customize according to their own taste. This blends the elegant clock in the environment, solely showing it as a clock with the invisible lens fixed in it. This nanny camera can be used to record through a 720-pixel eye. Live videos seen through the associated app and recordings are saved in the SD card. The users can put up to 64GB of SD card to save recordings. Settings of the camera can be switched from all time recording to the only record when motion detected. All of these outstanding features make it, in our opinion, the best nanny camera with audio. This mini camera is the absolute perfect thing for hidden recording. Its compact size and rechargeable facility allows you to hide it basically anywhere, may it be in your bookshelf or even in your car. If you suspect something or even if you just want to be careful and worry about the safety of your children. You can hide this little guy and keep a check on your nanny. Due to its unique design and applaudable features, it is our runner-up for the best nanny camera with audio. Plus you can even use it for other purposes such as keeping it in your office or workplace as well. 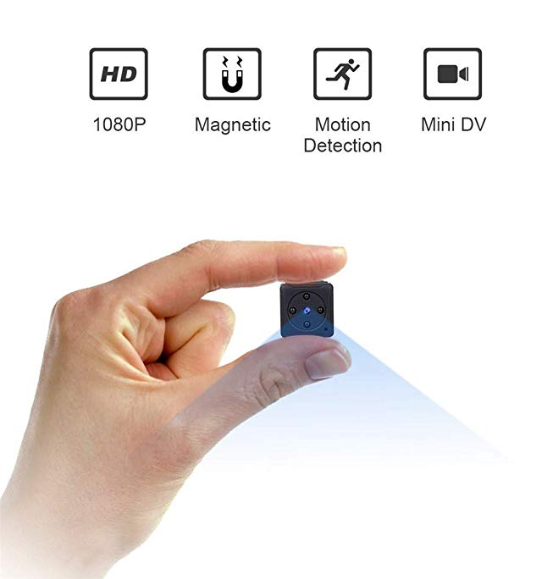 With the COCO mini spy camera, you can record high definition videos in 720 as well as 1080 pixel density at 30 frames per second. Giving you a crisp and detailed video, so you don’t miss a thing, full audio recording is supported as well. The coco mini’s small size is perfect to hide away in a corner. The camera has a rechargeable battery in it which can be easily charged with a standard micro USB cable. This makes it more convenient and easier for you to hide it and also carry it around. It supports micro SD cards for up to 64GB to record videos in full HD. Therefore you don’t have to worry about the memory being full every other day. The coco spy cam comes with a 90 degree adjustable back split with which you can easily adjust and set your camera to point and record the perfect spot. This is not your traditional hidden camera, but it does so much more instead. If your babysitter doesn’t mind being watched then this is the best solution for all parents. This little gadget was specifically designed for parents and is jam-packed with amazing as well as useful features that can help parents out in many ways making it the best nanny camera with audio. Its software is advanced and has a unique feature with which it can detect the sound of crying babies or children and send an instant alert to the parent’s phone. 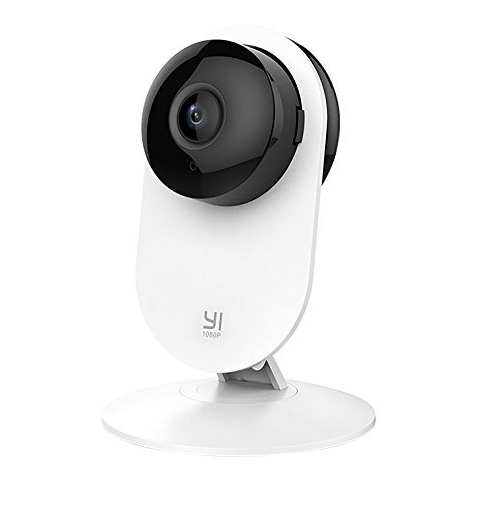 It has Wi-Fi connectivity and with the help of the YI, app parents can easily see the real-time video feed as well as interact using the two-way audio feature anywhere and at any time. The YI 1080p, as the name suggests, records videos in high definition 1080 pixels to give the users a crisp and detailed video. Users can zoom in up to 4x to get a better look. The video can be recorded as well as seen live on your mobile. It also supports night vision which lets the parents keep check on their kids in complete darkness without disturbing them with flash or lamp lights. The Brick House security camera takes hidden surveillance to the next level. Its compact size and rugged materials allow you to convert any household item into a video surveillance machine. It’s like a DIY hidden camera kit. With this device, you can make even a tissue box into a hidden camera. Or of course the traditional teddy bear camera. The convenient and sturdy design allows u to place it in all the little places where no one can find it. You can place it on a bookshelf or inside a book cover and record 1280 pixel videos easily. The Brick House mini is equipped with outstanding hardware and software features which allow you to record videos in 4 different modes. 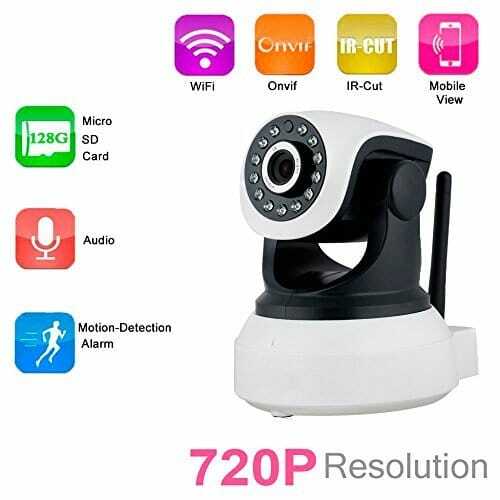 You can set it to record videos continuously, motion detected recording, the time specified, sound detection or even vibration detection recording. The camera supports a micro SD card which can record up to 10 hours of full HD voice and video recording. It contains a rechargeable battery which makes it easier to place in tight spots as well as carry it around. The camera captures video in 1280×720 pixel density to give you a clear crisp and full of detail video. Reviewing the video is a piece of cake. Just take out the sd card and put it in your phone or computer and easily review the videos and this how the best nanny camera helps you. 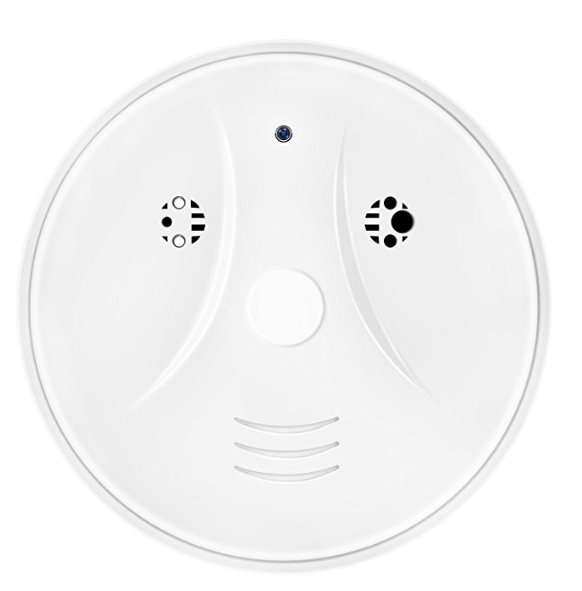 The last but not the least of our best nanny camera with audio is the ingenious little camera is smart, easy to use, and also designed to look like a smoke detector. Yes, not even a curious eye can spot this thing. It can easily blend in with the normal atmosphere of the house without anyone even noticing it. You can install it in your kid’s rooms or any place in your house easily. 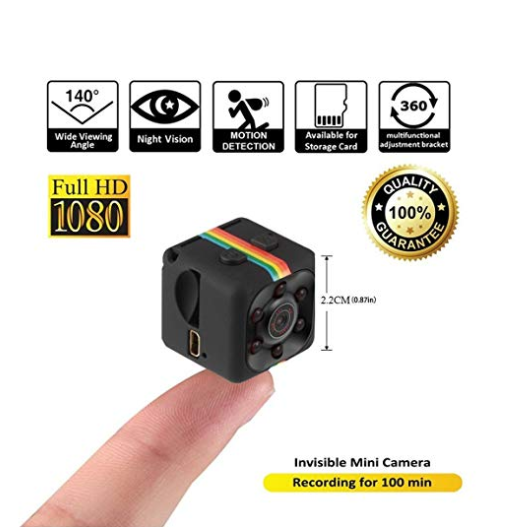 It records videos in high definition, 1080 pixels to give you a sharp and full of detail video so that you can easily zoom in on your target in the video without losing much detail. It can record up to 8 hours of this crisp video. It can easily be installed in the ceiling or walls. Just like a normal smoke detector. Plus it has a remote control with which you can turn the video recording on or off. The only downside of it is that it doesn’t have any Wi-Fi connectivity, unlike the other nanny cams available. But that also means that it can’t be hacked.